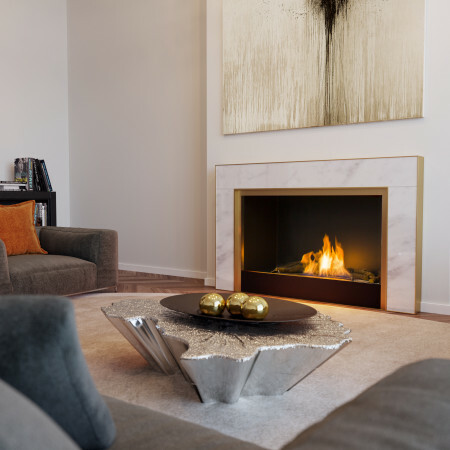 A bespoke gas fireplace design created to mix a contemporary styling with a traditional feel for the award winning interior designer, Laura Hammett. 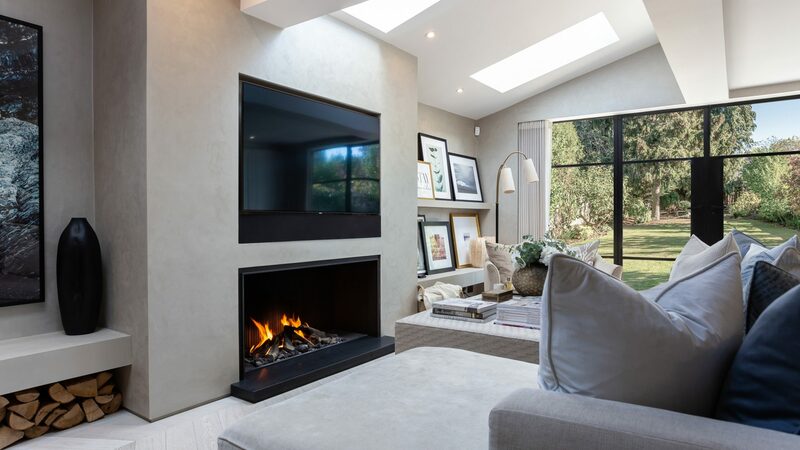 The stylish finishing trim and hearth coupled with the internal back wall design of the fire chamber turns this simple and versatile fireplace into a luxury fireplace for all. 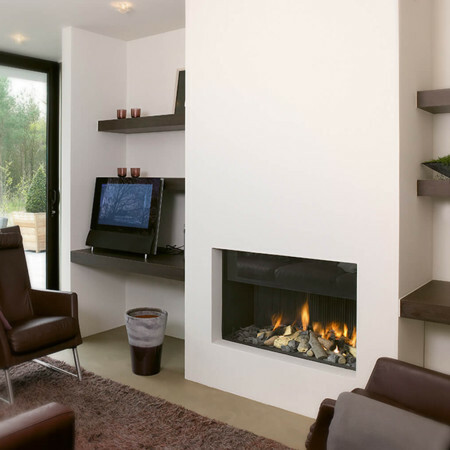 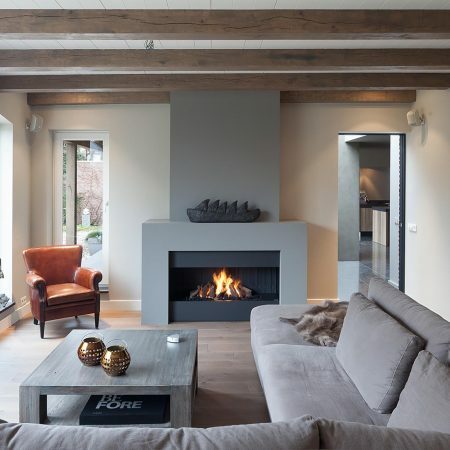 This contemporary hole in the wall fireplace can be designed as modern gas fire as is seen in the image or equally as a traditional wood fire.